28 September 2018 – Today, on the final day of the 39th session of the United Nations (UN) Human Rights Council (HRC), the HRC passed a Dutch-sponsored resolution (A/HRC/39/L.21) extending the mandate of the Group of Eminent Experts (GEE) in Yemen for an additional year, requesting the Office of the High Commissioner for Human Rights to continue to provide substantive capacity-building and technical assistance to the National Commission of Inquiry, and requesting the High Commissioner present an oral update at the 40th session of the HRC in March 2019. 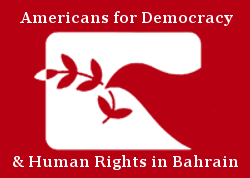 Americans for Democracy & Human Rights in Bahrain (ADHRB) welcomes the resolution and thanks the sponsors and cosponsors for their work to end the war in Yemen. We support the resolution and call on all parties to abide by the resolution and to render to the GEE all necessary assistance for the successful completion of its work. The HRC established the GEE in September 2017 in a consensus compromise reached during the 36th session of the HRC. Under that resolution, the HRC granted the GEE the mandate to carry out a “comprehensive examination of all alleged violations and abuses of international human rights and other appropriate and applicable fields of international law committed by all parties to the conflict” since 2014. However its mandate only lasted one year, ending in September 2018. Today, 21 member states of the Council voted to renew the mandate, while eight states against the renewal of the mandate; 18 member states abstained. Among those states that voted against the resolution are Saudi Arabia and the United Arab Emirates (UAE) – the leaders of the Arab coalition currently engaged in hostilities in Yemen. Despite the resistance by Saudi Arabia and the UAE, the HRC passed the resolution, extending the mandate of the GEE until September 2019 at the conclusion of the 42nd session of the HRC. Today the HRC also passed a second Yemen resolution (A/HRC/39/L.23) sponsored by Tunisia on behalf of the Arab Group and in coordination with the Yemeni government. That resolution, presented under Agenda Item 10 requests only that the Office of the High Commissioner provide capacity building assistance to the Government of Yemen and to present a national report at the 42nd session of the HRC, without support for the GEE. The success of two separate Yemen resolutions grants the Office of the High Commissioner with two separate mandates with which to address the situation in Yemen. ADHRB welcomes the passage of the resolution as a step towards ending the violence and addressing the humanitarian catastrophe in Yemen. We urge all parties to the conflict to abide by the resolution and to support the work of the GEE. We further call upon all parties to immediately cease all hostilities and allow for the unrestricted flow of humanitarian aid to all part of the country and to work in good faith towards a broad and sustainable peace agreement.